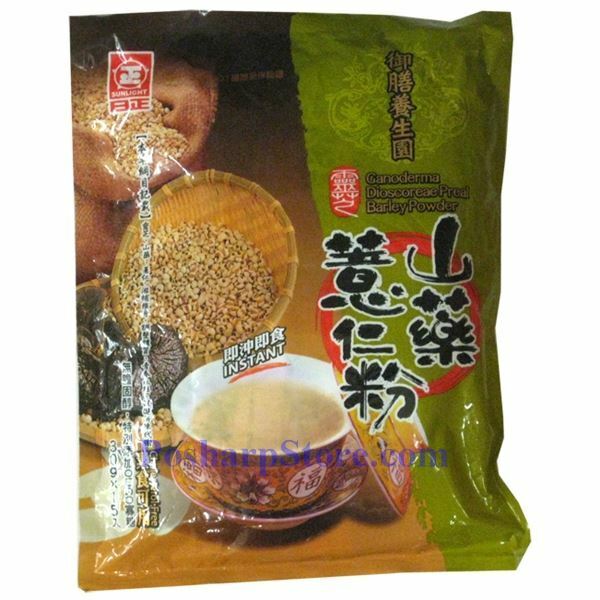 This instant cereal powder is made from barley and yam with ganoderma mushroom (lingzhi). With a cup of hot water, a nutritious delicious meal is ready for you to enjoy in a minute. Weight：15.9 oz or 450g, 15 packs.